The more foods such as espresso, blueberries, raspberries, olives, peppers and spinach you eat daily, the longer you may live. The antioxidants in these products reduce the risk of deadly forms of cancer and cardiovascular diseases. A meta-study, that epidemiologists from the Tehran University of Medical Sciences will shortly publish in the European Journal of Nutrition, suggests this. The researchers traced 5 previously published studies that people followed for a longer period of time and kept track of whether they died. The researchers were also aware of how many antioxidants the participants consumed daily through their diet. Epidemiologists often get the antioxidant value of foods from tables, which compile the results of tests done with the FRAP assay. FRAP stands for ferric reducing ability or plasma. The essence of the FRAP assay is that you allow iron chloride to react with O-phenanthroline, creating iron complexes that you can easily be measured. Antioxidants inhibit this reaction. If you let the reaction take place in test tubes in the presence of a food extract, and measure the delay of the reaction, then you have an idea of the antioxidant value of this particular food. Such information is used in tables like the one below. Click on it for a larger version. 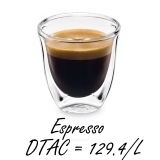 DTAC = dietary total antioxidant capacity. The more antioxidants the participants' diet delivered, the smaller their chance of death. Antioxidants in the diet reduced both the risk of death from cancer and the risk of death from cardiovascular diseases. It is a foregone conclusion for the Iranians. The more antioxidants you get daily through regular foods, the smaller the chance that you will die prematurely. European Journal of Nutrition. Received: 8 April 2018; Accepted: 3 February 2019; Published online: 11 February 2019. https://doi.org/10.1007/s00394-019-01922-9. If olive oil is your main source of fatty acids, then you probably live longer than if the bulk of your fats come from butter. If you treat yourself to a meal with a lot of red pepper a couple of times a week, then your chances of getting old are greater than if you eat red pepper less often. People who consume a relatively large amount of omega-3 fatty acids have longer telomeres than people who consume few omega-3 fatty acids. That means that their cells age more slowly.